Leaves are falling, the NFL season is in full swing, and stores are already decorating for Christmas. It is hard to believe we are closing in on the end of the year. This year has felt like it has flown by. As I come up on my one year anniversary at Stillman, I have to remind myself that time flies when you’re having fun. I don’t appear to be the only one having fun. 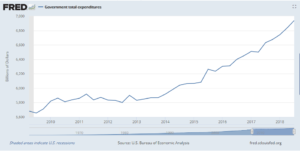 Economic growth continues to accelerate – companies are growing earnings, jobs are being created, and confidence among businesses and consumers remains high. The primary concern for the economy right now is whether or not trade disputes (mainly with China) could reverse these trends. While that is a valid risk, we do not believe it is the likeliest scenario. We believe that President Trump and China’s President Xi will eventually find an agreement that allows each of them to go back to their constituents with an apparent win. The midterm elections offered little in surprises. The Democrats took control of the House while Republicans maintained control of the Senate. The Democrats will probably work to block any additional tax-cuts or defense spending. They may also push harder on investigating the Trump administration on a number of fronts. This means the office of President may be playing a little more defense going forward and legislation will be harder to pass. This gridlock is not necessarily a bad thing. Economic growth has been strong and government inaction may be the best thing to keep it that way. The recent acceleration of economic growth is partly due to a continued improvement in the labor market. The unemployment rate is at a historically low level, and wages are starting to pick up. Consumers and workers are feeling good. In fact, for the first time in a very long time, there are more job openings than there are people to fill them! People are also more willing to move to new locations because they have confidence that they will be able to find work. This makes for a more dynamic workforce and increases productivity. Figure 2: The number of job openings has exceeded the number of people looking for work! Another cause for the recent acceleration in growth has been the fiscal policy of the current administration. 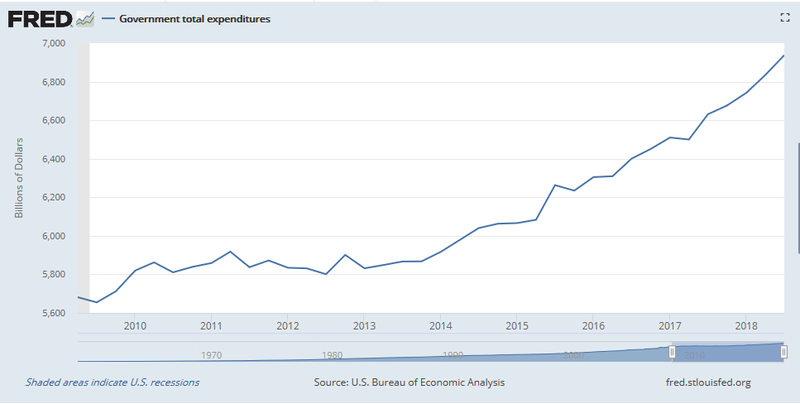 In addition to lowering taxes, there has also been a steady increase in government spending. The bulk of this increase has gone into the defense sector. 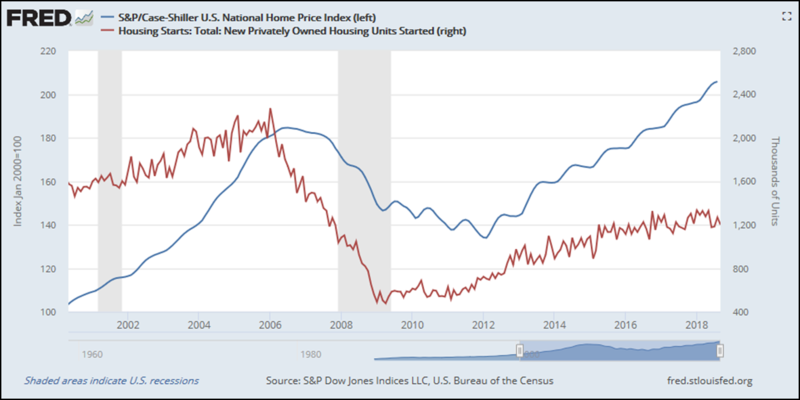 One facet of the economy that has yet to really grow has been the housing market. 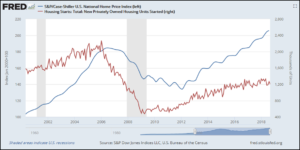 While housing prices have experienced a steady rise on average nationwide, the number of housing starts has still not reached pre-financial crisis levels. This may be because lumber prices have tripled in the past couple years and home builders are having trouble finding and keeping talented trades workers. 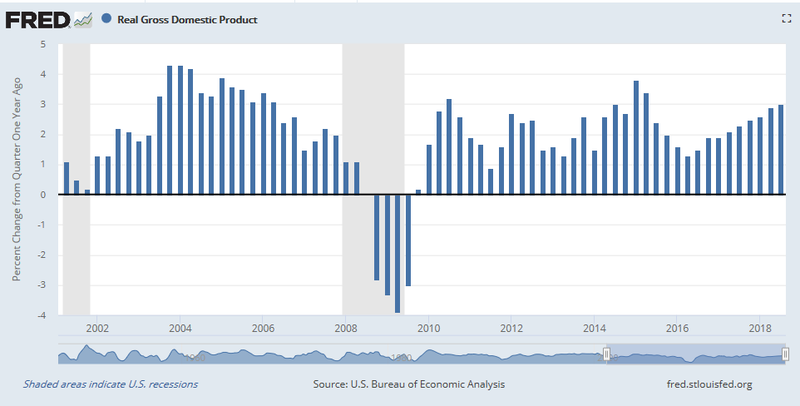 Overall the economy is doing well and appears to keep getting better. We do not expect this to change overnight; but when dealing with investments, it’s helpful to remember that the stock market predicts recessions, it doesn’t react to them. 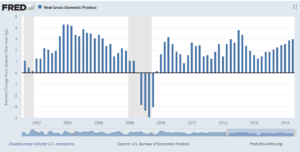 If you are one who is waiting for a recession to get more defensive in your stock portfolio, you may be nursing some heavy losses before your sell signal comes in. I guess this is just a really long-winded way of saying that we are optimistic, yet still cautious. 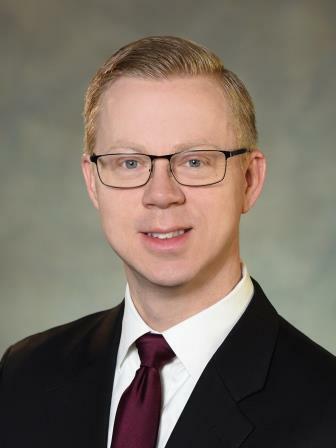 Please contact one of our Trust professionals if you have any questions. We look forward to hearing from you.